This is an update of an article from 30 January 2013 to include recent studies about the efficacy of fluoridation. Water fluoridation is a controversy that just doesn’t seem to go away, despite the overwhelming evidence of successfully reducing the rate of cavities in children (and adults), while also having little or weak evidence that there are any risks. When I was a kid, I remember controversies about fluoridating water. But I just hated dentists, so to my young, immature scientific mind, if fluoridation kept me from the dentist, that was a good thing! Today, fluoridated water has become ubiquitous in the USA and many other countries. Unless you drink bottled or filtered water, or avoid fluoride toothpastes (or mouthwashes), most children and adults get an adequate level of fluoride to maintain good dental health. I actually thought that the fluoridation controversy had passed into history with rotary phones, the Soviet Union, and the slide rule. Yes, there are groups that still fight against water fluoridation, and there are many people who think that fluoridation is bad. The John Birch Society, a right wing conspiracy group that I thought had passed into history, still considers water fluoridation to be mass medicine and once thought of it as a communist plot to poison Americans (see Schneider & Lilienfeld, 2011). Ironically, on the opposed side of the political spectrum, leftists, like the UK’s Green Party, are opposed to fluoridation because of the mass medicine idea, a concern occasionally expressed by antivaccine proponents. So it’s really not a right or left political issue. It seems to be, like many medical issues (for example, vaccinations), a matter of good science versus bad science (or even no science). Silicofluorides, widely used in water fluoridation, are unlicensed medicinal substances, administered to large populations without informed consent or supervision by a qualified medical practitioner. Fluoridation fails the test of reliability and specificity, and, lacking toxicity testing of silicofluorides, constitutes unlawful medical research. It is banned in most of Europe; European Union human rights legislation makes it illegal. Silicofluorides have never been submitted to the U.S. FDA for approval as medicines. The ethical validity of fluoridation policy does not stand up to scrutiny relative to the Nuremberg Code and other codes of medical ethics, including the Council of Europe’s Biomedical Convention of 1999. The police power of the State has been used in the United States to override health concerns, with the support of the courts, which have given deference to health authorities. Wow. “Police Power of the State?” And they went full Godwin’s Law, by implementing the Nuremberg Code, which, as a result of the atrocities of the Nazis during World War II, is a set of research ethical principles for human medical experimentation. The Nuremberg Code requires informed consent and absence of coercion; properly formulated scientific experimentation; and beneficence towards experiment participants. 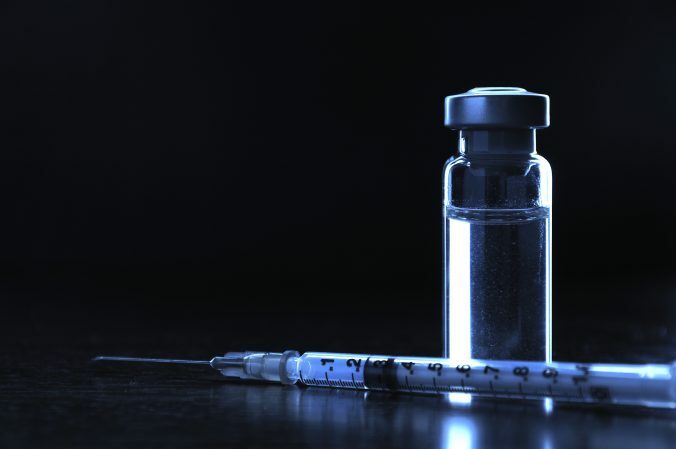 It’s a strawman argument that we’ve heard before from bad actors opposed to vaccinations. Like vaccinations, the experimentation exists prior to providing the medication to the public. As long as the science has shown that the medication works, then doing it for the public good is fine, especially when the risk is so small as to be almost nonexistent. So what is the actual, peer-reviewed, science for water fluoridation and tooth decay? What are the medical benefits? And what are the actual risks? The only reason I decided to become the 47 millionth blog post on the fluoridation controversy is that a study published last summer, Developmental Fluoride Neurotoxicity: A Systematic Review and Meta-Analysis, has reared its ugly head on social media again. As a side note, I think that social media is like the mythical hydra for pseudoscientific concepts–you cut off one head, and two others grow back elsewhere. The aforementioned article would appear to be one of those types of articles that I would use to support a scientific point of view: peer reviewed, published in a high quality journal, and a meta-review of other articles. The authors conclude that “our results support the possibility of adverse effects of fluoride exposures on children’s neurodevelopment.” This type of article would be enough to scare me into buying bottled water, putting in a water filtration system, and protesting at my local water department. The paper only reviewed papers that studied children in China (and one in Iran), not in the USA. So, there may not be any relevance to child development in the US. This, in itself, is not a reason to dismiss the study, but it is a reason to to wonder if it can be applied to the US. Since 2002, China has not fluoridated its water. Oops. Most of the studies in the meta-review included children in rural areas who are exposed to large natural amounts of fluoride, especially in the water, but also from the air (coal powered electrical plants). In the studies, the “control” groups were exposed to approximately 0.5-1.0 mg/L of fluoride. Those in the “high” group, and of course showed more neurotoxicity, were exposed to 2.0-10.0 mg/L. In the USA, the EPA considers the upper safe limit to be 4.0 mg/L, and prefers water to not exceed 2.0 mg/L. Most water systems in the USA remove naturally occurring fluoride to below 2.0 mg/L and fluoridation is always in the 0.5-1.0 mg/L range. Or, with respect to this study–the normal group. This was not an experimental study, so nothing was controlled. Confounding factors such as other naturally occurring minerals, say arsenic, and other environmental factors were not considered. This was simply taking a group of individuals (children), arbitrarily choosing a factor (fluoride), and placing individuals on either side of some number without consideration of the dozens of other factors. This isn’t science! On the other hand, there is solid science backing the safety of fluoridation of water. They simply conclude that, “Fluoridation of drinking water remains the most effective and socially equitable means of achieving community-wide exposure to the caries (cavities) prevention effects of fluoride.” The CDC provides an exhaustive list of scientific studies that support the safety of fluoridated water. As with vaccines, the same arguments are made. A vague belief in government conspiracies–I’m sure my use of the CDC as a source of scientific soundness will be a sure sign of a conspiracy. Bad science. Cherry picking studies while ignoring the 99.9% of studies that say fluoridated water is safe. Using Joe Mercola as your source! Study after study has shown that fluoridating water reduces tooth decay. A recently published study, conducted in Australia, provides strong evidence that fluoride in drinking water provides dental health benefits to adults, even those who had not received fluoridated drinking water as children. This population-level study shows that fluoridated drinking water prevents tooth decay for all adults regardless of age, and irrespective of whether they consumed fluoridated water during childhood. The researchers analyzed national survey data from 3,779 adults aged 15 and older selected at random from the Australian population between 2004 and 2006. The researchers measured levels of decay and compared it to where the study participants reported they have lived since 1964. Then, the researchers matched the residential histories of study participants to information about fluoride levels in community water systems. The researchers then ascertained the percentage of each participant’s lifetime in which the public water supply was fluoridated. The results showed that adults who lived more than 75% of their lifetime in areas with fluoridated water supplies had significantly less tooth decay (up to 30%) compared to adults who had lived less than 25% of their lifetime in those fluoridated water communities. I’m going back to my original point. Unless there’s some compelling and dramatic scientific argument about the safety of fluoride, I prefer that to having to go to a dentist to repair cavities any day. And if you ask my kids, they’d say the same thing! Choi AL, Sun G, Zhang Y, Grandjean P. Developmental fluoride neurotoxicity: a systematic review and meta-analysis. Environ Health Perspect. 2012 Oct;120(10):1362-8. doi: 10.1289/ehp.1104912. Epub 2012 Jul 20. PubMed PMID: 22820538; PubMed Central PMCID: PMC3491930. Cross DW, Carton RJ. Fluoridation: a violation of medical ethics and human rights. Int J Occup Environ Health. 2003 Jan-Mar;9(1):24-9. PubMed PMID: 12749628. Schneider D, Lilienfeld D, eds. 2011. Public Health: The Development of a Discipline, Volume 2, Twentieth-Century Challenges, vol. 2 . Rutgers University Press. ISBN 978-0813550091. Page 116. Slade GD, Sanders AE, Do L, Roberts-Thomson K, Spencer AJ. 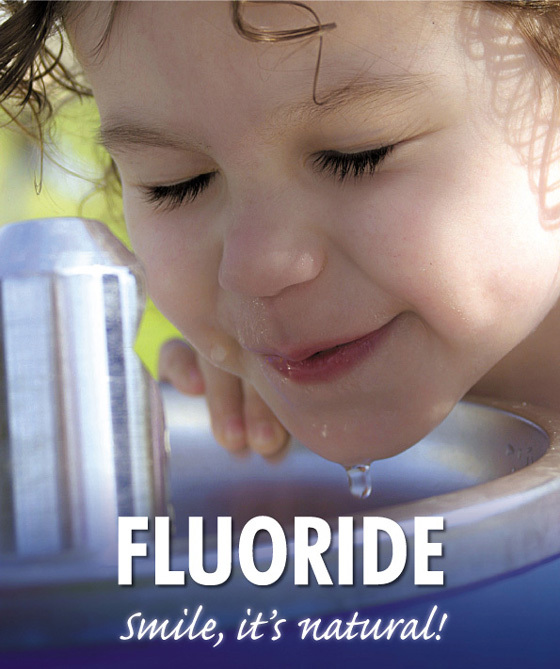 Effects of fluoridated drinking water on dental caries in Australian adults. J Dent Res. 2013 Apr;92(4):376-82. doi: 10.1177/0022034513481190. Epub 2013 Mar 1. PubMed PMID: 23456704. Tickner J, Coffin M. What does the precautionary principle mean for evidence-based dentistry? J Evid Based Dent Pract. 2006 Mar;6(1):6-15. PubMed PMID: 17138389. Yeung CA. A systematic review of the efficacy and safety of fluoridation. Evid Based Dent. 2008;9(2):39-43. doi: 10.1038/sj.ebd.6400578. PubMed PMID: 18584000.